Directions: Click on the preview picture above for a printable PDF version of this coloring page. We’ve also made a higher resolution JPEG image available. 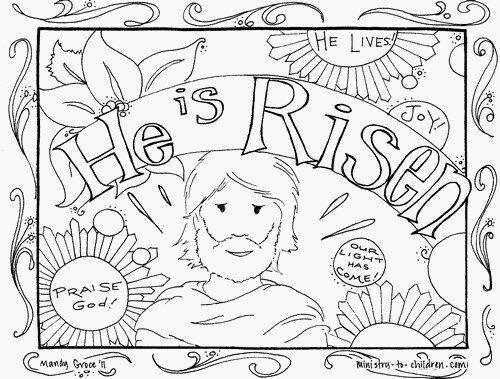 This Easter coloring sheet would be ideal for Resurrection Sunday. It has a picture of Jesus along with the words, “He is Risen.” Other phrases decorate the picture as well. 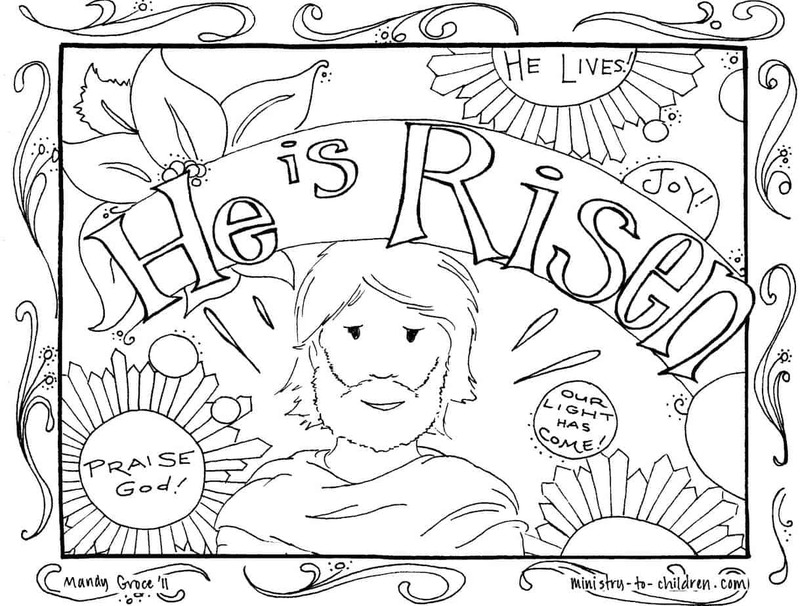 As with all our coloring pages, you are free to use this in your church, home, or Christian school. If you enjoy this resource, you can leave a comment below to thank Mandy for her efforts. Tony Kummer (Editor) reviewed & updated this page on : September 29, 2011 at 8:46 am. All our content is peer reviewed by our readers, simply leave a comment on any post suggest an update.